Over 300 signatures have been collected so far in aid of saving free swimming in Bristol. The Labour government had introduced the free offer for under 16s and over 60s but the Conservative – Liberal Democrat coalition has cancelled it. Last year 177,000 under 16s and 79,000 over 60s swims took up the Labour government’s free fitness offer according to a petition set up by Ron Stone. Apparently there was a 400% increase in swims for older people and 27% increase for young people. Swimming has undisputed health benefits and gives confidence to young swimmers. If you want to help save free swimming, or revive it if it’s already cancelled, then go to http://epetitions.bristol.gov.uk/epetition_core/community/petition/911 to sign the petition. 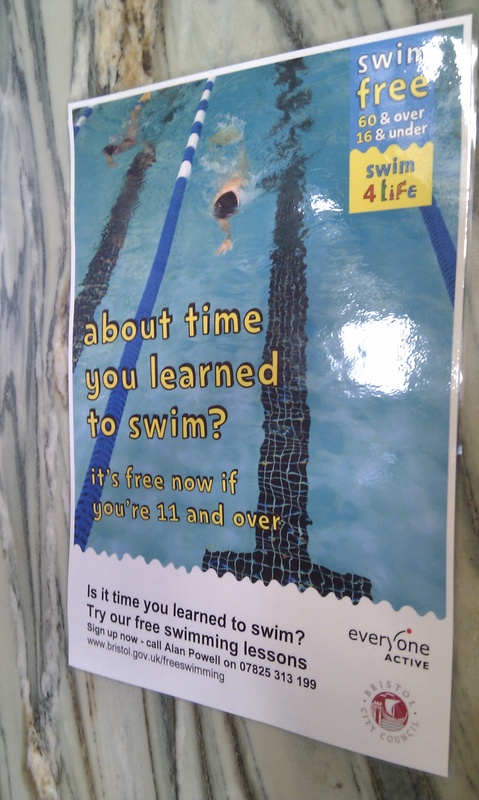 This entry was posted in Bristol and tagged Bristol, petition, save free swimming, swimming. Bookmark the permalink.